My husband recently lost his job because his company is shutting down. Since this blog is my only (small) source income, this means that we lost almost our entire family income. His unemployment also meant that we lost our health insurance. 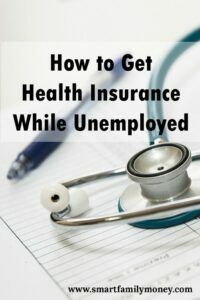 Figuring out how to get health insurance while unemployed has been complicated and frustrating. I decided to share what I learned about health insurance while unemployed, so hopefully, I can help someone else in the same situation. I hope I can save you some research time so you can spend more time focusing on finding a new job and less time worrying about how you and your kids will get the healthcare you need. Note: I am not an expert on health insurance and I’m only sharing information that I learned from my personal experience. Also, I am focusing only on aspects that apply to young families with children only (not senior citizens). COBRA: This is what most people think of first, but it’s rarely your best option because of the high cost. It can be helpful as a backup plan, though. Spouse’s Medical Plan: If you lose your medical coverage because of a job loss, you are able to sign up for your spouse’s health plan, if they have one through work. This counts as a “qualifying event” for you to sign up outside of the usual enrollment window. Act quickly, as this opportunity could be as short as 30 days. ACA Marketplace Plan: This is generally much cheaper than COBRA and you can get some help paying for your plan. You have a 60-day “special enrollment period” after a loss of coverage to sign up for an ACA plan outside of the yearly enrollment window. Medicaid or CHIP: If your income is low enough while unemployed, you or your children may qualify for Medicaid. Even if your income is too high for the adults in the family to qualify for Medicaid, the children may qualify for CHIP (Children’s Health Insurance Program). Short Term Insurance: Short-term plans have lower premiums, but have many limitations compared to traditional insurance. For example, they don’t cover preventative care, pre-existing conditions, or maternity care. No insurance: Going without insurance is an option, but a risky one. What is COBRA Medical Insurance? COBRA means you’re extending your health insurance from your previous job, by paying the whole premium yourself. If you had good insurance at your old job, this may be the best coverage available to you, but also likely the most expensive coverage option. Read more about your rights to COBRA coverage from the Department of Labor. COBRA is not your only option, and it’s almost always your most expensive option. If the COBRA plan has multiple people on it, they can choose to enroll individually, even if that wasn’t normally an option on your plan. This means that a child or spouse can enroll without the employee enrolling. You have 60 days to elect COBRA coverage. When you elect COBRA coverage, you are retroactively covered back to the day after you lost your coverage. After you elect coverage, you have another 45 days to pay your first premiums. What this means is that you can pay nothing and go without insurance for 60 days. If something happens and you need expensive medical care during that time, you can elect COBRA, pay your premiums, and get your medical bills paid. You can have up to 145 (60+45) days (or about 3.5 months) to pay the initial premiums. If you get health insurance another way during this time (through your job, your spouse’s job, or Medicaid), you can avoid paying anything for COBRA, while still being covered in the case of a major medical need. If you’re using this method, just be very careful not to miss your window and end up without coverage. 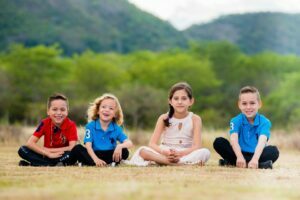 For us, COBRA coverage was over $2,000/month for our family of 4. That was just not a feasible option while living on a low income. What is an ACA Marketplace Plan? The ACA Marketplace is often called “Obamacare” and is available through healthcare.gov. It is health insurance that can be subsidized with an advanced premium tax credit. What is an Advanced Premium Tax Credit? An Advanced Premium Tax Credit (APTC) is a tax credit that can be used to lower the premium of a health insurance plan purchased through the ACA Marketplace. The amount of the credit is based on the yearly income that you estimated on your application on healthcare.gov. If you choose to use the tax credit in advance to pay your premiums, it will be reconciled when you do your taxes next year. Using the APTC is optional. If you don’t take the tax credit in advance, you can still receive it at tax time. In situations where you are unsure of your yearly income, this could be the safest option. 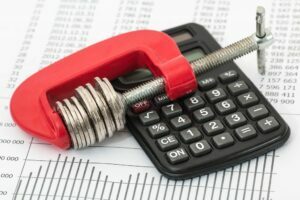 If you under-estimate your income for the year when the APTC is estimated and you use it to reduce your premiums, you may have to pay some of the APTC back at tax time. The payback amount is limited if your income is below 400% of the poverty line (around $100,000/year for a family of 4). Read the details about the Marketplace plans very carefully. Some have very high deductibles, a very limited network of providers, or no coverage for out-of-network providers. Note that some plans include extra services like dental or vision care for children. Marketplace plans are based on your geographic region and vary widely throughout the country. If your yearly income is too low, you will not be eligible for assistance to pay for a Marketplace plan unless you’ve already been denied by Medicaid. For our family of 4, if we were denied by Medicaid, we would have qualified for a no-premium Bronze plan with a very high deductible or a Silver plan for $214/month after the APTC (or $1210/month with no APTC). The Silver plan had good coverage and included kids’ dental care, but had an extremely limited selection of doctors in our area. We were advised by the website that we needed to apply for Medicaid first, though, before we could be considered for the APTC. Medicaid is a government health insurance program for low-income people. It is free or very low cost. It is available in every state, but the requirements and programs vary. CHIP stands for the Children’s Health Insurance Program. It is Medicaid available to children and sometimes pregnant women. The income requirements are higher for CHIP, so some families may be able to get their children covered by CHIP while the adults get coverage elsewhere. This could greatly reduce the family’s overall healthcare cost. CHIP is Medicaid for children. Qualifying for Medicaid is based on your family’s monthly income. Note that this is different from the yearly income that the APTC in the Marketplace is based on. You can apply for Medicaid through healthcare.gov or through your state agency. There is no enrollment period for Medicaid / CHIP. You can apply at any time. 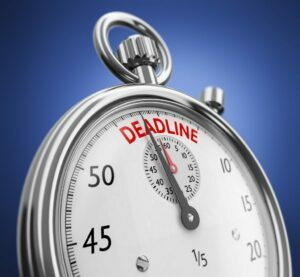 In most states, Medicaid is retroactive for 3 months prior to your application date. If you’re uninsured and would have qualified for Medicaid, you can apply and get help with your recent medical bills. 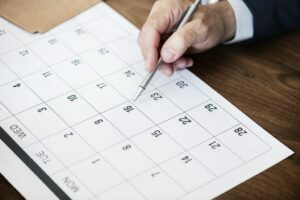 If you qualify for Medicaid, you don’t have to apply again for a year, but you’re required to report any changes in your situation within 10 days of the change. This would include a new job or change in family status. Income for Marketplace insurance and the APTC (advanced premium tax credit) is calculated based on yearly income on your tax return for the current tax year. Income for Medicaid is based on current monthly income. Why am I emphasizing this so much? If you just lose a good-paying job (as my husband did), your yearly income in the current tax year might be fairly high. Your currently monthly income is likely very low, though. You may qualify for Medicaid or CHIP even if your total yearly income is high because of this difference in calculation. Can I Qualify for Medicaid If I Have Savings in the Bank? You may have heard about people spending down their assets in order to qualify for Medicaid. This is a rule that applies to seniors trying to get coverage for long-term care facilities. The rules for families with young children are different. For families with children, the qualifications for Medicaid / CHIP are based solely on monthly income. Assets such as bank accounts, investments, houses, and cars are irrelevant. Note that the application will likely still ask you about these things because they are relevant to other programs such as SNAP (supplemental nutrition assistance program AKA food stamps). Call later in the day. After 12 pm seemed to be the earliest I could get through, but after 3 pm had even shorter wait times. Be patient. Take a deep breath and expect slow bureaucracy. Be polite and kind. A little kindness goes a long way. Use the online system. If your state has an online portal, use it! You can still call in if you have questions. Use your smartphone to scan documents. If you have a smartphone, you can get a free app to scan documents. It makes sending documents fast and easy. Don’t Miss Your Enrollment Windows! HERE’S WHY! John is married to Mary, who has health insurance through her job. John loses his job and health insurance on March 31. That counts as a qualifying event for Mary’s medical insurance, but only through April 30. John could be added to Mary’s insurance, but he decides not to do that because he’ll get a new job quickly. 6 months later, in October, unfortunately, John still doesn’t have a job or health insurance. He has missed his special enrollment period with Mary’s job and the ACA Marketplace. His family income is also too high for Medicaid because of Mary’s income. There is no way for John to get medical insurance until next calendar year. That is a big financial risk and could lead to bankruptcy if John had a major medical need. Susan is a single mom with 2 kids. She loses her job on April 15th. Her family now has no income other than unemployment. Susan’s income is low enough that she and her kids could qualify for Medicaid. She decides not to apply for Medicaid because she will find a job quickly. She figures she could always sign up for COBRA coverage if something happens in those first 60 days. Susan does find a job fairly quickly and starts her new job in July. Unfortunately, this new job is with a very small company that doesn’t offer health benefits. Susan would like to get Marketplace insurance for her and her kids, but she’s now outside of the special enrollment period after the loss of her job. Starting a new job does not qualify her for a new enrollment period, so she’ll have to wait until the end of the year to sign up for coverage. If she had signed up for Medicaid during her unemployment, she would have now contacted the Medicaid office about her new job, lost her Medicaid coverage, and the loss of Medicaid would have qualified her for a second special enrollment period now. Bottom Line: Sign up for some kind of medical coverage by the end of your special enrollment periods. If you qualify for Medicaid, sign up while your income is low because the loss of Medicaid will help you get a new special enrollment period when you increase your income. If you’ve recently lost your job and are trying to figure out how to get health insurance while unemployed, hang in there. The system is confusing, but you can do it. Whatever you do, don’t delay, because there can be serious consequences for waiting too long. If you’ve had to get health insurance while unemployed, I’d love to hear your story in the comments below. >For families with children, the qualifications for Medicaid / CHIP are based solely on monthly income. Huh, I had no idea this was the case. I know that for food stamps they do take your assets into consideration, which I always thought was kind of messed up since it basically says “well if you have a safety net, go ahead and deplete it first and then you can get food stamps”. I guess I get it if the person has like six figures in the bank, but if I remember correctly the threshold is actually really low, like only a couple thousand dollars or something. I just always thought that was kind of messed up, so it’s nice to know that it’s at least not like that for medicaid. That’s correct that the asset rules for food assistance are very low. I agree that it is nice that doesn’t apply to Medicaid.